There’s no use denying it – if you feel it’s time to lose weight you might have a hard road ahead. However, it doesn’t mean that it can’t work while you create flavorful meals that help keep you motivated. The best part is that research is backing up the claims of many manufacturers about the benefits of utilizing to enhance the results of any diet. Following are a few of the herbs for weight loss that have the highest scientific ratings for effectiveness. Okay, there is at least one unpleasant side effect from garlic. However, the benefits to dieters makes up for the bad breath in spades. Garlic is a type of onion that originated in Central Asia and has been used throughout the world to flavor food for centuries. But garlic’s benefits span beyond the kitchen. Researchers at the Ewha Womans University revealed that over a 7 week period, obese mice that were given food with garlic lost more weight than those on a diet without garlic. But how does it work? Most importantly, by stimulating the satiety hormone, reducing binge eating and sugar cravings. It also releases norepinephrine, which is a neurotransmitter responsible for boosting metabolism. Garlic is also an effective diuretic and detoxifies the body. 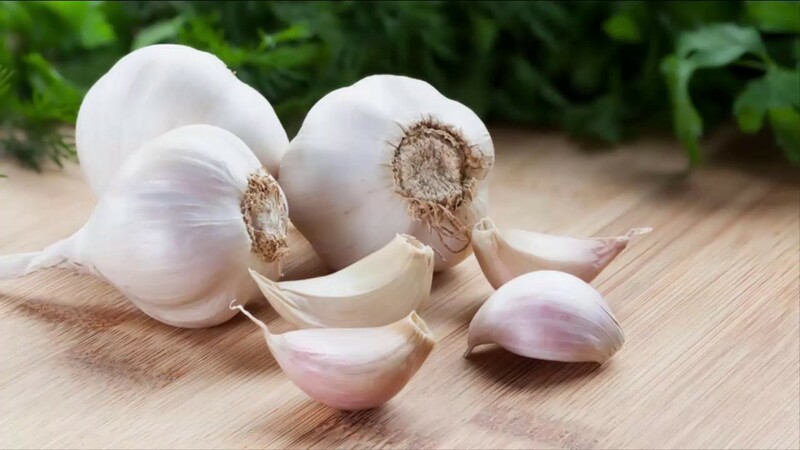 Garlic can also be used to fight cardiovascular disease, to prevent the formation of cancer and to address gastrointestinal problems. However, it may interact negatively with medications such as insulin, blood-thinning and anti-inflammatory medications and some contraceptives. When you see a yard full of dandelions you may be inspired to grab a weed killer. They look like a bouquet of flowers that are yellow to orange in color. All parts of the dandelion is usable. Chefs have found that if harvested before the flowers appear while the leaves are still young, they make an excellent addition to salads, soups, beverages or when cooked like spinach.The roots are used as a coffee substitute. Dandelions help you lose weight thanks to their potent diuretic effect. The diuretic properties of the plant have already been proven in a 2009 study published in The Journal of Alternative and Complementary Medicine. Dandelion tea promotes fat breakdown in the body, which is why it’s ideal to consume a cup before your meals. Furthermore, the drink also improves digestion. Finally, drinking dandelion tea before taking your meals will satiate you, thus helping you eat less. Dandelions contain large amounts of vitamins A, B, C and E, iron, calcium, potassium and sodium. They are especially helpful for those suffering from high blood pressure, inflammation, weak immune systems and liver problems. Dandelions can also be used for intestinal gas, upset stomach, gallstones, viral infections, muscle aches, joint pain, bruising and eczema. For anyone allergic to ragweed, caution should be taken as they can cause an allergic reaction. 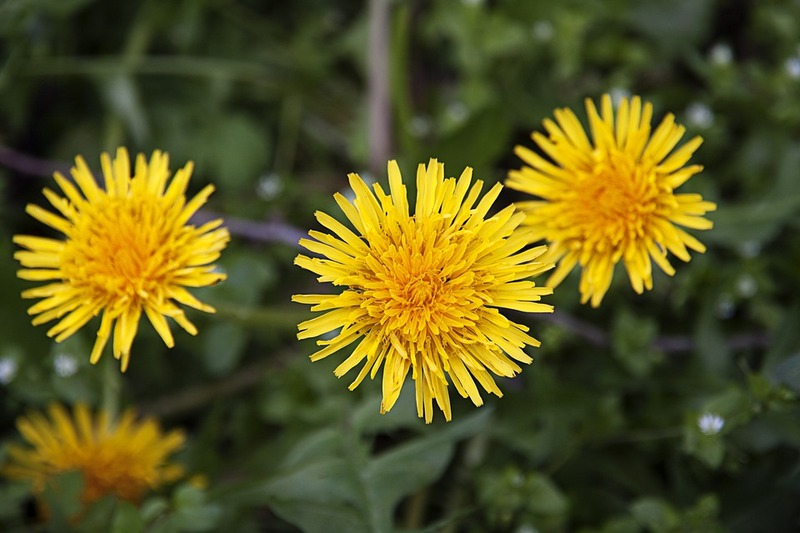 Additionally, dandelions may interact negatively when taken with medications. These include used antibiotics, lithium,cytochrome substrates, and medications broken down by the liver. Nettle leaf, sometimes better known as stinging nettle, is a herbaceous perennial flowering plant from Europe, Asia, Northern Africa and the Western U.S. Some of the leaves have hollow stinging hairs on them that inject histamine and other chemicals into the skin. They have been used for centuries as a source of food, fiber and medicine. Although no official studies have been conducted so far regarding nettle’s effect on weight loss, nutritionists claim that nettle tea is essential to any weight loss regime.Gillian McKeith, host of television show You Are What You Eat, recommends drinking up to 4 cups of nettle tea a day. McKeith believes that nettle boosts metabolism and acts as an appetite suppressant. Nettle is also a diuretic, this too adding to its weight loss potential since it help you get rid of excess stored water. Beyond being one of the best herbs for weight loss, nettle leaf is often used to treat kidney problems, urinary tract infections and gastrointestinal problems. Beyond serving as an herb for weight loss, it has also been used to treat disorders of the locomotor system, skin, cardiovascular system, hemorrhage, influenza, rheumatism and gout. Taking nettle along with diabetes medications might lower the blood sugar too much. If you suffer from diabetes, you may need to change your dose of your diabetes medication. Nettle decreases blood pressure and may interact with medications for high blood pressure.The plant also interacts with sedatives and Warfarin, a medication used to slow blood clotting. It’s best to consult with your doctor before consuming nettle to avoid serious side effects. Ginger is a plant that comes from India and Southern Asia and is now grown in East Africa and the Caribbean. It is best known for use in cooking but was originally used in herbal medicine. It is a herbaceous perennial reed-like flowering plant whose rhizome, or root, is the part that is edible. The ginger root works with weight loss by improving digestion, providing a feeling of fullness and by speeding up the metabolism. Because of how it works on the human body, it promotes absorption of essential nutrients while driving the body to expend energy to burn stored fat. Ginger is a stimulant and carminative, and is frequently used for gastoparesis, dyspepsia, slow gut motility symptoms, constipation, colic and as an herb for weight loss. It is also used to treat nausea and arthritis pain. Although it can cause gas, it may be effective for individuals diagnosed with dysmenorrhea. 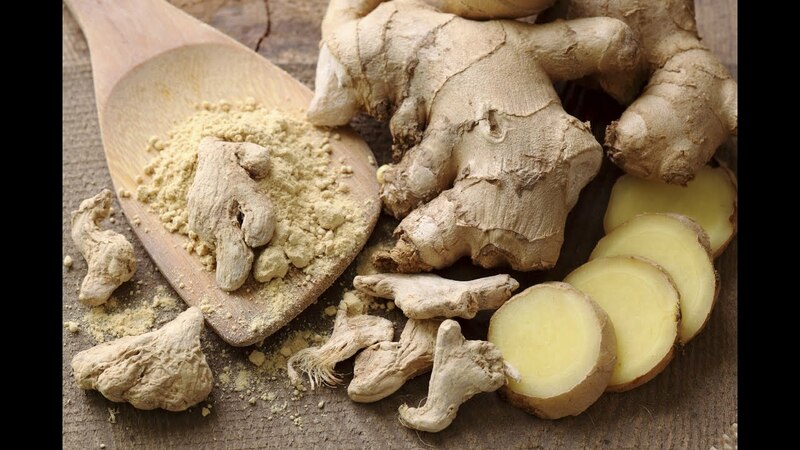 Ginger has few side effects but can interact with medications such as anticoagulant and cardiovascular drugs. In some individuals, allergic reactions such as a rash can develop. It can also cause heartburn, intestinal blockage, ulcers, inflammatory bowel disease and can exacerbate symptoms of gallstones. The part of the Ginseng plant used as an herb for weight loss is the root.The root grows very slowly reaching 6 inches in length. The plant has a simple, erect stem that bears three leaves and a few small, yellow flowers. It bears fruit in a cluster of bright red berries. The root has a sweet flavor reminiscent of licorice but with a slight bitterness. Research has shown that ginseng is an excellent herb for weight loss because it speeds up the metabolism, influences hormones and enzymes that regulate appetite while preventing fat storage, stimulates the oxidation of fats, lowers cholesterol, and contains ginsenosides. A small part of the root is often steeped in tea or soup and taken each morning. Ginseng has been used in China to improve energy, stamina, the libido and feelings of well-being for centuries. 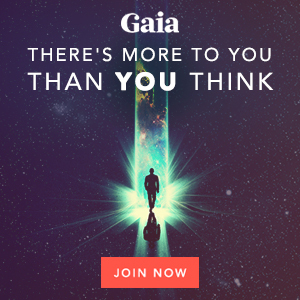 It enhances concentration, aids sleep and reduces the effects of dementia. It is especially effective for vomiting, dyspepsia, consumption, cancer prevention, diabetes, nervous disorders and other diseases. The root should not be used in strong doses, as it could cause high blood pressure, especially when taken along with other types of stimulants. Ginseng should not be used by those with cardiac problems and should never be taken with other medications especially with anticoagulants. Real ginseng can be very expensive and, as a result, many pseudo brands are now on the market. Although similar, they do not have the same properties or results as the real thing. Green tea is made from Camellia Sinensis leaves prior to the time they undergo the oxidation and withering process that produces black or oolong teas. Green tea is loaded with antioxidants, EGCG and thermogenic properties that increase heat production in the body while reducing the amount of fat the body can absorb. The result is an increased consumption of energy and an increase in the burning of fat. 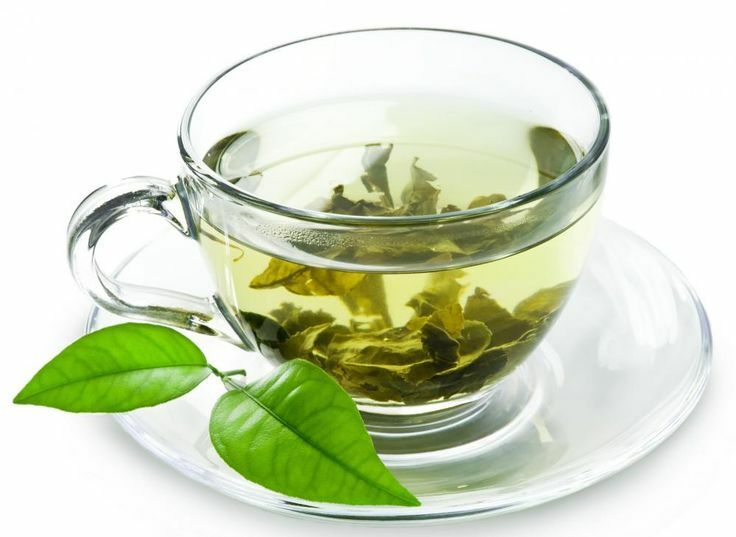 Scientific study has shown that green tea – in combination with exercise – reduces the symptoms of metabolic syndrome. An interesting finding suggests that decaffeinated green tea has a more significant change in body weight. Consequently, decaffeinated green tea and physical exercises enhance the body’s ability to use energy. Green tea originated in China, where it has been used for hundreds of years in the treatment of cardiovascular disease, diabetes, hyperlipidemia, inflammation, toxicity, and to reduce the risk of cancer. Green tea contains caffeine, a stimulant, and may not be suitable for those with hypertension, heart conditions, central nervous system or anxiety disorders or are pregnant. It can also increase the symptoms or progression of certain diseases in some individuals. For example, in individuals that have anemia, they may find the condition worsens over time. The same goes for glaucoma where the pressure behind the eyes increases and can last up to 90 minutes following ingestion. Some individuals may have more difficulty absorbing calcium into the bones and that can lead to osteoporosis. Additionally, it may also worsen the conditions listed above or interact with medications meant to control them. Weight loss is a complex process even under the best of circumstances. As a result, to increase the odds of success, combining different practices along with herbs for weight loss will most likely help you achieve your goals. Adding exercise to your dieting program will enhance results. Do keep in mind that, prior to adding any herbs for weight loss to your current regimen, you should seek the recommendation of your healthcare provider. If you’ve tried any herbs for weight loss in the past, we’d appreciate it if you’d provide your own feedback and share your results with us.